NFL Week 2: NFC East: Where Are We?? An absolute question to ask as the NFL season is trying to get it’s sea legs as many teams are at early season crossroads. Alright raise your hand if you thought going into week 3, the Washington Redskins would be 1st in the NFC East?? Last night’s 28-16 win by the New York Giants was more a byproduct of the Rams ineptitude as a young team in the redzone, than it was a crisp Giant performance. Seriously, the mistake by Cadillac Williams not going after the lateral Giant Michael Boley scored with was the play of the game. It took pressure off of Eli Manning, and allowed themselves to run Brandon Jacobs right at the Rams and control the flow of the game. However this week they get another crack at the Philadelphia Eagles. Who knocked them out of the playoffs after the “Miracle in the Meadowlands II” punt return by DeSean Jackson. Right now the Giants look shaky on pass defense as well as passing the ball. Eli Manning looks at times as though he is unsure of where he wants to go with the football. He doesn’t pass the eyeball test and needs his receivers to catch the football so they gel as a unit over the course of the season. Manning is staring down some of his receivers which could swell his interception totals again. Careful Eli, old habits are east to slip into. Speaking of the Eagles, they are still smarting from the 35-31 last second loss to the Atlanta Falcons that dropped their record to 1-1. Also smarting is that of one Michael Vick, who was sandwiched between a Falcon player and one of his own linemen. For all his scrambling, he was knocked from the game with a concussion while in the pocket. We await the decision if Mike Kafka or Vince Young should start this game for the Eagles. It was Kafka’s play last year that made Kevin Kolb trade bait once he was succeeded by Vick. Each had played better during the pre season. Kafka, from Northwestern, showed moxie getting into his firs regular season play and Andy Reid should have enough confidence to play him. Vince Young couldn’t learn Tennessee’s playbook and should know one as complicated as Reid’s?? We don’t think so. Speaking of thinking, isn’t it time Cowboy fans gave Tony Romo the benefit of the doubt?? Right, we know, after he’s won a Super Bowl. However that is beyond unfair. One week where we were considered to be Romo apologists for citing the team’s system wide meltdown while losing 31-24 to the New York Jets. 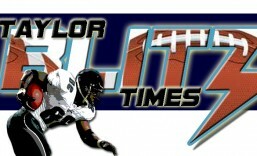 We remind you he needs to grow as a leader of men as we expressed in our preseason magazine https://taylorblitztimes.wordpress.com/2011/06/08/2011-dallas-cowboys-preview/ . All he did was comeback from an early game hit where he broke a rib and punctured a lung and pass the Cowboys to an overtime win over San Francisco. One week after a bonehead late interception sealed his team’s fate, he marched his team to a win completing 13 for 17 down the stretch including overtime. Although the Cowboys are 1-1 on the season, those were giant steps taken by Romo in terms of maturing as a quarterback and a leader. Understand the Cowboys are a team that passes the ball 3-1. Right now Tony Romo is on pace for 5,496 yards, 32Tds and only 8 interceptions. He won’t be able to keep up that pace but he’ll be real close. The Cowboys need to take solace in the fact that they’re defense could be rounding into some shape. After 2 weeks, new inside linebacker Sean Lee leads the NFL in tackles with 24 while DeMarcus Ware is leading the NFL in sacks with 4. They need another defensive front member to help get after the quarterback along with Ware. Rushing the passer would seriously be of some interest now that they have to take on the surprising 2-0 Washington Redskins and Rex Grossman. Who?? Yes the same Rex Grossman that was run out of town shortly after Super Bowl XLI for leading such an anemic offense is trying to be this season’s Kurt Warner. While not throwing for spectacular numbers, he has infused his team with some added zest while throwing for 596 yards, 4TDs and 2 picks. Not bad after the Donovan McNabb debacle and named the starter over John Beck as the week one starter. The acquisition for former Cardinals running back Tim Hightower is paying off. He’s a steady runner who has 168 yards and 1 touchdown on the young season. Steady play has come from Rocky McIntosh and the Redskins defense which has recorded 7 sacks so far. Can they keep up this play when they take on Dallas this Monday Night?? This entry was posted in 2011 NFL Regular Season and tagged Dallas Cowboys, New York Giants, NFL, NFL Players, NFL Predictions, NFL scores, Philadelphia Eagles, Rex Grossman, Tony Romo, Wahington Redskins. Bookmark the permalink.